Every player on the field is accounted for in roster settings. We support fully flexible rosters for all league types. You can set your roster positions using the settings > draft settings > roster settings on your league draftboard. 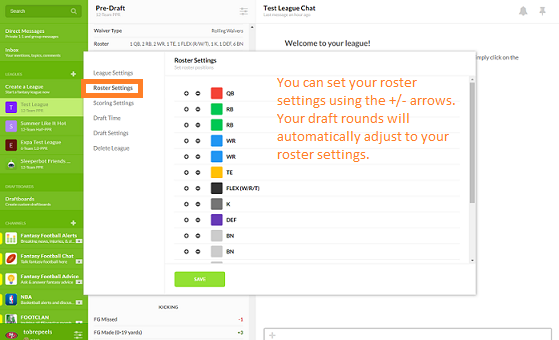 Whether you are doing an IDP league or a Superflex league, it's all supported under our roster settings.